Social media has grown up and Facebook has become a valid advertising platform. If you already use Facebook, now is the time to get serious and leverage the advertising potential in it’s billions of users. If you haven’t committed to Facebook in your marketing plans, now is the time. Facebook’s tools for acquiring and qualifying leads can have an immediate impact on your lead generation and revenue. Facebook Ads Manager, Ad Creation, Power Editor, and Analytics provide a robust and easy to follow user interface to create and manage your ads and campaigns, to create forms to qualify your leads, and to control your spending. The Facebook interface makes it easy to target your audience as broadly or narrowly as you need, and to build your audience across desktop, tablet, and mobile platforms. They even make it easy to sell direct and take payments. How broad or narrow you set your net, along with the effectiveness of your ad, will ultimately determine the cost/value of each click-through. In the beginning, directly target the people who matter most to your business. This will give you the most qualified leads, and you can further qualify them using forms as they respond to your ad. While you are creating your target audience, Facebook provides an immediate estimate of how many users will see your ad. This number is only an estimate, but the numbers shown are based on the average performance of ads targeted to your selected audience. Create Custom Audiences from your customer contacts, website visitors and mobile app traffic. To broaden your net, create Look-alike Audiences to reach new audiences that share traits like location, age, gender and interests with your customers. You can layer in additional targeting options to narrow your audience, including geographic, demographic, and interest targeting, but don’t use too much or your audience may become too limited. Saved Audiences capture your commonly used targeting options for easy reuse in future ads. Based on response, they can be tweaked to perform better or as the basis for a new audience. The most important feature in this mix is that you can use Target Ads as broadly or narrowly as you want. Facebook has billions of users, so defining – and testing – audiences is necessary to optimize your spending. It is easy to target different ads to different audiences and analyze the metrics. You should, for example, target an ad for people who have liked and follow your page, and craft another approach for those who don’t. The ad itself must, of course, be crafted to break through the clutter and attract attention that drives people to your call to action. The ad image, headline, copy, and click destination all are easily defined through the interface. What is important here is to use an image and headline that grabs people’s attention and provide a clear Call To Action. Use Saved Audiences and the campaign metrics captured in the Ad Manager to test different images and copy to help you find what is most effective for your audiences. After you have created your audience and your ad, you will want to qualify the leads that respond. What information do you need to follow-up? 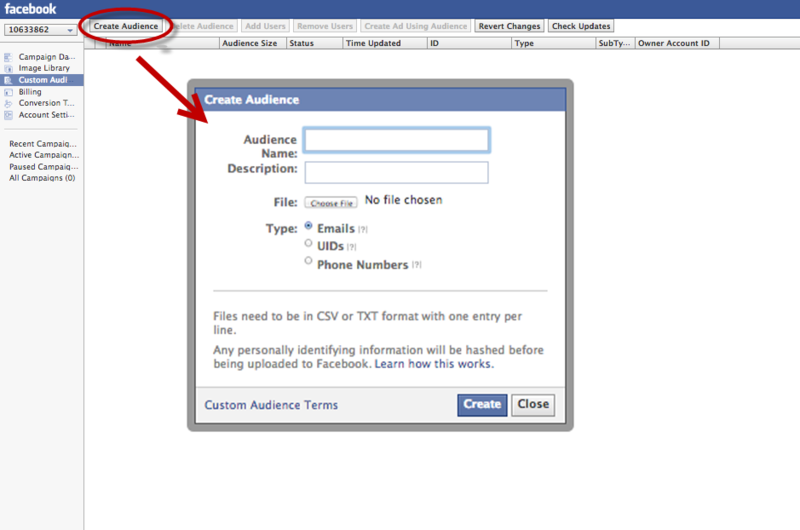 Facebook makes it easy to create forms and capture that data. Remember that a lead is just a lead until you do something. Build your audience but don’t forget to convert them. Follow-up, follow-up, and follow-up some more. If you haven’t already, now is the time to put regular feeding and maintenance of Facebook ads and content on your marketing calendar.